Drug interactions are common whenever one medication is prescribed alongside another. In most cases, the interaction doesn't necessarily require a person to stop one drug or another. More often than not, dosages can be increased, decreased or staggered in order to avoid toxicities or to ensure the drugs retain their optimal potency. At other times, substitutions can be made with an equivalent agent. However, when it comes to HIV antiretrovirals (ARVs), there are a number of prescription medications that can directly interfere with drug action. They do so by either altering the pharmacodynamics (how a drug works) or the pharmacokinetics (how a drug moves through the body) of one or more of your ARVs. That can be a serious problem. When drug pharmacodynamics are altered, they can adversely increase or decrease the potency of one or both of your drugs, or amplify their toxic effects to intolerable, even dangerous, levels. Alternately, when drug pharmacokinetics are interfered with, they can affect how efficiently a drug is absorbed or metabolized by the body. In other cases, one drug might stimulate an enzyme that tamps down the other's effect or decrease the excretion of a drug so that it builds up in the kidneys or liver. All of these are events you would want to avoid if on HIV therapy. Beyond the more "visible" impact of drug toxicities, the "invisible" impact of diminished drug activity can be just as profound. If this happens, your HIV drug will be far less able to suppress the virus, which can lead to the premature development of drug resistance and, eventually, failure—and not just to a single agent but often to an entire class of drugs. As such, it's important to always inform your HIV doctor of any drugs you may be taking, whether they are prescribed or not. A drug is considered contraindicated if it can cause harm. Within the realm of HIV therapy, there are certain types of drugs that, when taken with ARVs, have the potential for this effect. They include everyday medications used to treat high cholesterol and heart conditions, as well as therapies employed to treat HIV-associated illnesses. 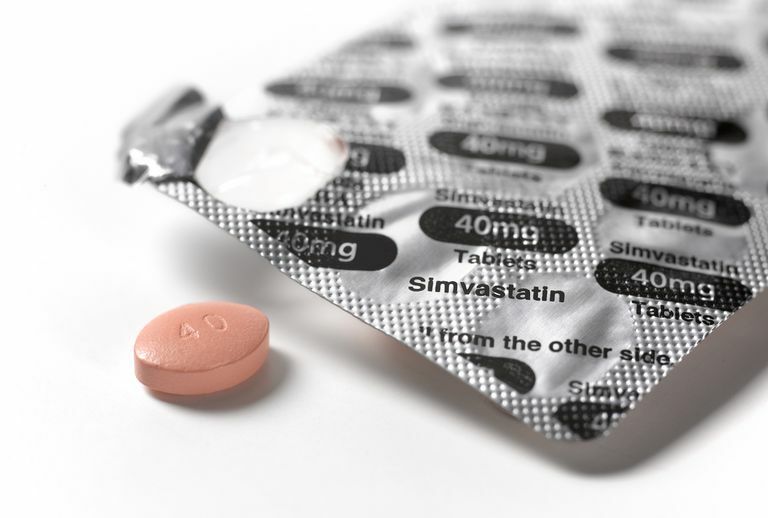 Statin drugs are used to reduce cholesterol levels and work by blocking a liver enzyme responsible for producing cholesterol. While most of these popular medications are not contraindicated for use with ARVs (or require a simple dose adjustment), two should be avoided as their combined use can increase the toxic effects of the statin drugs, including the risk of drug-associated muscle pain or weakness (myopathy) or the serious breakdown of muscle tissue (rhabdomyolysis). Other cardiac medications are known to have the same potential and should be avoided when used with protease inhibitor-class ARVs. They include the anti-arrhythmics Cordarone, Nexterone, Pacerone, Quinaglute, Quinidexm Rythmol, Tambocor, and Tikosyn, as well as the anti-tachycardial drug lidocaine. Generally speaking, drugs used to treat epilepsy are considered safe for use with your HIV medications. A few, however, directly impact the drug Intelence (etravirine) by competing with the same biochemical pathways when co-administered. In doing so, it can significantly decrease the concentration of Intelence in the bloodstream, lowering its efficacy. A number of common sedatives—as well as two controlled drugs used to treat schizophrenia and Tourette's syndrome—are also known to affect concentration levels of certain ARV agents. The hepatitis C co-infection rate in people with HIV can run as high as 20-30% in parts of North America and Europe. With newer class hepatitis C drugs (called direct acting antivirals, or DAAs) promising cure rates of over 90% in some populations, greater attention is being placed n treating co-infected individuals earlier and more aggressively than in previous years. However, a number of these DAAs cannot be used with certain ARVs, due predominately to competing drug actions that can either increase or decrease drug pharmacokinetics. In addition, the drugs Harvoni and Solvadi, two of the most prescribed DAAs on the market, cannot be co-administered with Aptivus. In certain parts of the world, tuberculosis co-infection in common among people with HIV. Even the U.S. and Europe, the rate of TB is far higher in the HIV populations and is a common feature in advanced HIV disease. Two of the drugs commonly used to treat TB infection are also known to lower drug concentration of certain ARVs when co-administered. In cases of HIV/TB co-infection, the drug rifabutin is typically substituted when any of the abovelisted ARVs are indicated. National Institutes of Health (NIH). "Guidelines for the Use of Antiretroviral Agents in HIV-1-Infected Adults and Adolescents." Rockville, Maryland.